why choose cartersville trucks ? We at Cartersville Trucks know that you have plenty of choices when shopping for a used truck, so we want to make sure that you know why customers from all over the United States are purchasing their next diesel trucks from us. We have sales all around the United States. One out of every four trucks sold are to an out-of-state customer. We make it our mission to provide the best used diesel trucks in the entire Southeast. 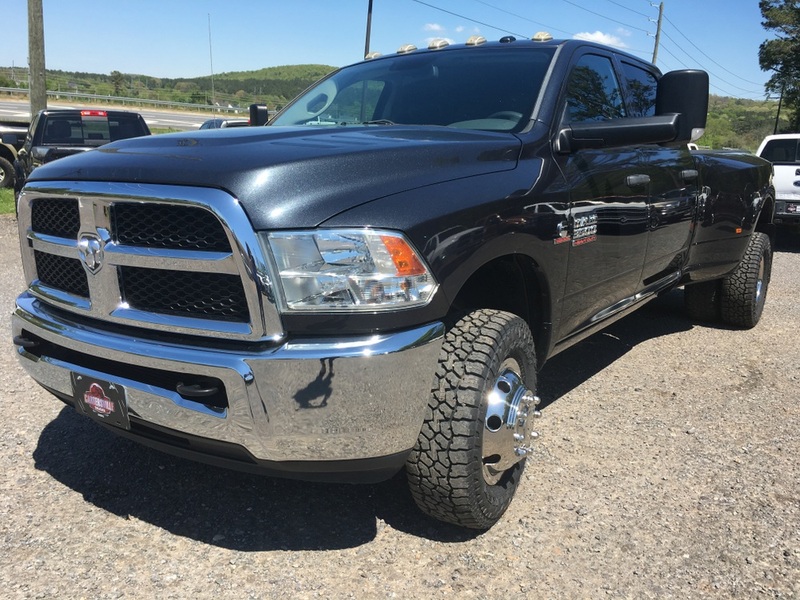 Cartersville Trucks believes our buyers can only truly appreciate the quality of our vehicles and the unique pleasure of owning and driving a diesel truck is by experiencing it first-hand. At Cartersville Trucks, we encourage our buyers to stop by and test drive the truck of your choice as you make the decision to go diesel. Here are some of the reasons why everyone chooses us. Find Your Perfect Truck Here? Facebook User: Owner herself worked an extra 3 hours tonight (due to me being in traffic for 4 hours) to make sure we drove home in a nice truck, in fact I did make it home with no problems which was about 145 miles. The truck was well worth the money! . Facebook User: If you are looking for a diesel truck in the metro Atlanta area, look no further! The process went smoothly from start to finish. George is very personable and knowledgable in his field. Got my dad a great deal, and still is loving his truck . Facebook User: We bought our 2006 Ford F-250 from them and experienced great customer service by both George and his mother. We will recommend them to our friends and family. .
Great customer service. I was looking at a truck we didn't end up buying but we will definitely be coming here for our purchase when ready. They did everything in their power to get the bank anything they need! Top notch service! . Facebook User: George and his Mom are great people to deal with. Bought a 2006 F350 from them a while back and they made the purchase Painless. My truck is everything he said it was and then some. Thanks Guy's . George and his mother are great people. They know these trucks inside and out and are willing to help as well as they can with just about any buying scenario. They stand behind the quality of their trucks and I'm extremely happy with my 2006 powerstroke I bought from them. . Despite all the reviews I have read and seen,me and my dad had a great experience at Cartersville Trucks. George was very helpful and honest and so was his mother. Bought my truck the same day me and my dad test drove it and the buying experience was a lot better than going to a dealership. . I bought a 99 F250. George was great to work with and didn't pressure me into buying. Had a great experience with Cartersville Trucks! . I bought a great truck at a great price and was very impressed with how much help and knowledge i received from George and his mother I would definitely recommend them if your looking for a great truck. .
Everyone at Cartersville Trucks is awesome. I got a very nice deisel for a great price. If you are looking for a used deisel that's the place to go. . I went to this dealership and found exactly what I was looking for . The service was outstsnding and they also have a variety of choices , definitely would recommend to family and friends. . Both George and his mother were both extremely personable. I shopped around at other lots, but they were much friendlier and professional than any other. George and his mother truly went above and beyond in order to ensure that I found the perfect truck. I recommend Cartersville Trucks to anyone in the market for a diesel! . Our trip to this family owned truck lot was great. We drove all the way from Virginia and i have to say the truck was EXACTLY what we was told! We can't say that about all the other lots we had visited before.. They have a large selection of sharp 3/4 and 1 tin trucks. .
Hi my name is Tony and I bought a 2008 dodge 2500 4x4 from Cartersville trucks. I would just like to say that first that I am a heavy equipment diesel mechanic. And I have been truck shopping for about a year or so trying to find a truck that I like and that I would approve of because I go over them with a fine-tooth comb. Cartersville trucks George and his . Awesome experience today! Very professional and polite owners. Bought a used truck that is in great condition. Lots of nice diesel trucks to choose from. George was knowledgeable and patient. . Very nice people who know their diesels. . Excellent experience with Cartersville trucks it was straightforward No Nonsense really help me out in a big way I couldn't be more satisfied with the truck I got no issues whatsoever I recommend if you're looking for a good used diesel truck talk to George very very knowledgeable and like I said straight forward and very helpful . If your looking for a QUALITY used diesel truck go see George. We looked at a bunch of used truck lots and his trucks are by far the best! We never felt pressured and he helped us every way he could to get the best deal and financing. . This is by far the best diesel shop in the state of GA. They are kind and they help you through the whole process. The trucks they have are all in awesome condition. I just want to say a big thank you to Cartersville Trucks for everything . I bought my truck on June 5 2018,,I can honestly say it was one of the best buying experience I have ever had, George and his sweet mother are very professional and through,I looked at alot of trucks over a 6 month period,drove hundreds of miles b4 I stopped at Cartersville Truck, I looked at what he had on the lot,alot of nice trucks,but not quite what I w .
Excellent place to buy a truck from. George went above and beyond to get me in the truck I wanted and made it all happen in less time than I spent any other dealership. I would highly recommend anyone buying a truck to go see George. I will definitely go back and purchase another truck from here. You want a good diesel at a good price definitely go there. Yo . I got my first Diesel and truck from this place. They help and worked with me on everything great deals. Very polite very nice people. Great selection on trucks. Definitely recommend to anyone that wants a great work truck looking for the best deal. . I didn't buy, but I loved these guys! . I bought a 2011 F250 from George. He was great to deal with, very polite and respectful. Recognized and thanked me for my Service just based on my insurance company. Only had the truck for 2 days, but I love it. . Solid buying experience. George Mead it fun and friendly. He also stands by his trucks, and is willing to work with you on a price. I would suggest this dealership to anybody that is in the market for a diesel. .
Had a great experience! Out of all the dealerships I had previously visited, Cartersville truck's was the best by far! Very nice trucks, good prices, friendly and couldn't be happier with my purchase. Thank you Cartersville truck's! . George and his mom are great people!! Im a 3rd generation farmer in SC and time is limited. So I came up to look at one truck and because of the variety of trucks ended up buying a different one. They were patient, helpful, and courteous! Any concerns I had were addressed immediately and I will definitely recommend them to anyone! And for any future purchase . I just purchased a truck here. The most smooth and seamless experience I have ever had purchasing a vehicle. They steered me in the direction of USAA since I am a vet. I got approved for a loan in minutes and was in and out of their dealership in 20 min after the test drive and going over the truck. I have owned probably 15 vehicles in my day. Never have I h .
Great trucks. Awesome people. All around good experience .. just purchased a Ford f250 and I couldn't be happier. I'll be going back for my next truck . george is a awesome person to work with i called him and told him the truck i was interested in and he had all the paperwork ready for me to sign very respectful and awesome place to buy a truck from will definitely be looking there first for my next truck . Bought a 2011 ram 2500 6.7l cummins from here in September of 2018. Truck is amazing and George help us out tremendously with the process of buying since it's my first auto purchase. .